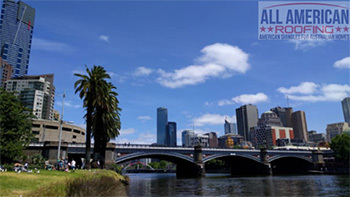 Melbourne is situated in the state of Victoria and is the second largest city in Australia. It has a strong economy for a state so small but attracts some great sporting and entertainment events making it a great city. The Australian Open tennis, the Formula 1 Grand Prix and the AFL Grand Final, all attract crowds in the hundreds of thousands. There are more than a fair share of expats in the city which also offers numerous employment opportunities and positions, and a vibrant, varied nightlife. What are other things that Melbourne offers? The history of the city can be traced back to around 1835 and it was one of the original settlements of Australia. There was even a gold rush in the Ballarat area around the 1850’s and this area has been maintained as a historic site. Melbourne housed the national government until 1927 when Canberra was decided on. Most people joke about the weather in Melbourne saying that it can have four seasons in the one day. It’s really no joke! Cold winds from the Tasman, hot winds from the central north means you can have bright sunshine and hot weather suddenly turn to hail and thunderstorms. Generally speaking, the weather can be classified as temperate, warm to hot in summer and cool to frosty in the winter. The city has an eclectic mix of nationalities. In fact, Melbourne has the largest Greek population outside of Athens. There are many nationalities in the city in addition to Greeks, such as Italian, Macedonian, American, Germans and over the past 45 years, the Asian population has grown exponentially. Melbourne boasts a huge Vietnamese community and has a very large and colourful Chinatown as well. The city has one of the most diverse and multicultural populations in Australia. As the population grows, so does the economy, and international businesses are attracted to the city to set up headquarters. Melbourne has one of the busiest seaports in the country and is considered the leading financial center of Australia as well as figuring highly in SE Asia. Visitors brought in $4.4 billion in 2017, so people must like the place! The median house price in Melbourne is around $720,000 and apartments at $585,000, and as demand continues to outstrip supply, that situation is not about to end soon. There are huge housing developments and projects planned and already active to help decentralise from the city. Housing estates in the Western corridor, in particular, are offering much cheaper houses and the government is supporting these new communities with large-scale infrastructure work. Like any big city, it costs more to live in Melbourne than in a country town. Living costs increase annually as do housing costs. If you want to partake in the very active nightlife in Melbourne with entertainment, live shows, nightclubs, sporting events and eating out at any of the thousands of restaurants, you need to be earning a reasonable salary. Whether you are building a new house or replacing the roof on an old home somewhere in Melbourne, when you consider all the features above, it would be silly to discount asphalt roofing shingles as an inferior alternative. The vast majority of people use terracotta and cement roof tiles, but you can dare to be different. It’s an exciting time if you are purchasing and having a new roof installed on your Melbourne home. Changing the colour and texture to give your roof a whole new look can be fun. Your old Melbourne home will look younger and more stylish with a new roof, especially if you change from tiles to asphalt roofing shingles. After the new roof comes a few landscaping changes to make everything integrate. What would a new coloured roof made from asphalt shingles look like in a Melbourne suburb? Well, apart from capturing the looks and comments from the neighbours, your home will look younger and more modern. Match the new roof colour to go with your home. For example, if your Melbourne home is landscaped in lots of green, then a red or green roof will contrast or coordinate. If you live in a Melbourne seaside town, such as Brighton or Seaford, and you have dark shutters to keep out that winter sea breeze, then opt for a dark coloured asphalt shingle roof. Asphalt, by the way, is the most popular of shingle roofing. Why? Well, they are cost-effective and easy to install. Because they are easy to install, it saves the homeowner additional installation costs and saves time on the job. The All American Roofing team can roof most homes with asphalt shingles in a short time and do it anywhere in the Melbourne metro or outer metro area. Organic Shingles – these are made from paper ceramic granules containing copper and tin as well as asphalt, of course.These shingles weigh more than the fibreglass, but that makes them better able to withstand high winds. Because of the tin and copper, moss cannot grow on organic asphalt shingles. If you need advice on what’s best for your roof, depending on which Melbourne suburb you are in, then ask the professionals at ALL American Roofing. The area in which you live determines the most suitable type of shingle to install. Both types of shingles will look absolutely great, whether your house is on the Mornington Peninsula or in the inner Melbourne areas of Carlton or Fitzroy. The colours and styles are many. If you are replacing an old roof on an old Melbourne home, an asphalt shingle roof will add value. Warranties vary from 25 years to lifetime, so you know you can enjoy a safe roof for years to come. A long-lasting asphalt shingle roof will keep your home looking beautiful for many years.